In the past 2 years I’ve been signed on with Trango, one of the things I’ve come to love about this company is their innovation and creativity in product design. They see a problem, and they devise a product to fix it in a practical way. If you want an auto-locking belay device that also feeds rope smoothly, the Cinch is for you. If you want a pair of aggressive shoes that can still smear once you pull over that burly roof and onto the face, the Oasi’s are a perfect choice. And this “problem-solving” mindset is not just limited to the more expensive gear. This year Trango released two new products that, in my opinion, are both perfect solutions for solving “on-the-ground” rope management issues. Keeping the rope out from behind your leg might still be on you, but with these two new rope bags, at least you can trust that your cord will start out nice and neat at the base of the cliff! 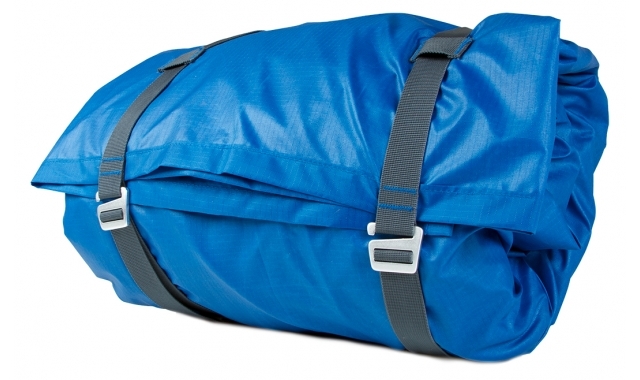 An large tarp (4×5) attached to the bag that provides plenty of room for your rope as well as other items you want to keep out of the dirt – shoes, rack, draws, etc. Tarp window that makes it easy to see which rope is inside, ensuring that you always toss the correct one into the trunk of your car on those zero dark thirty mornings! 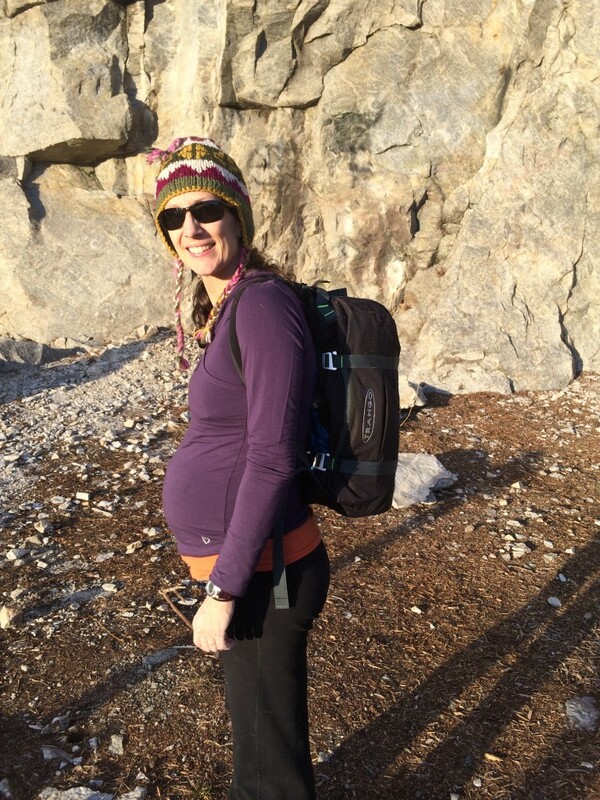 Comfy fit even w/a 31 week baby bump! The Antidote is certainly not the first rope bag to ever have backpack straps, but in my unbiased opinion it’s definitely the most versatile. It’s the only one I know of that can be used both as a shoulder bag AND backpack on any given day, and the bells and whistles are well thought out features rather than just fluff. We’ve used it with 60m and 70m ropes, and with either rope the tarp is plenty big enough and the bag packs down nice and tight. And per Trango’s typical m.o, value is unmatched – it retails for only $34.00! Lightweight – this sucker weighs in at 270 grams, literally HALF the weight of a full-featured rope bag! Anyone who prefers to always carry their rope in their pack will LOVE this tarp. 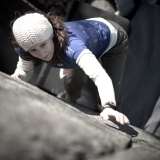 Inspired by one of the Trango athletes (nope, not me…although I wish I could take credit! ), this invention really does combine the best features of a rope bag without having an actual bag. Whereas most dime-a-dozen tarps only roll up, the Cord Trapper’s straps cinch down nice and tight into the perfect shape for sliding right into a pack. 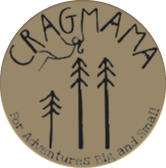 With the extra room in your crag pack, making the rest of your gear fit in along with a rope is never a problem! And then there’s the value card…it’s only $16 folks! Tossing the Cordtrapper in for a short jaunt b/t routes. While I indeed received both the Antidote and the Cord Trapper at no cost, I can assure you that this review consisted of my honest, unbiased opinion. And I’d love to hear even more honest, unbiased opinions! Which rope bag/tarp do you use? 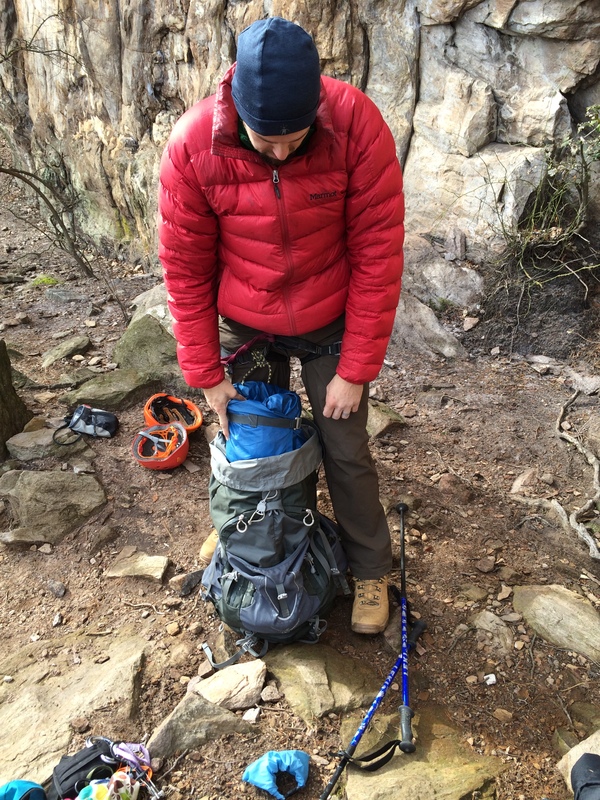 Do you typically hike your rope in separately or in a crag pack? Answer in the comments section and you just might win your very own Antidote or Cord Trapper (winner’s gets to choose!) Make sure you use the Rafflecopter Widget to participate – that’s what actually enters your comment, as well as provides opportunities for multiple entries. Contest will run until midnight on Sunday night, January 26. Best of luck! I used to just stuff a tarp in my pack and then coil the rope and put it on the top of my pack. I love the cinch straps on that model though and such a great price! I used a Metolius rope bag BiTD but since I mainly climb MP trad or ice I haven’t used one in years and just strap the rope to the pack. 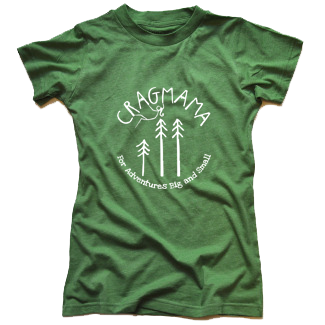 Since we now have a toddler I think we’ll be spending more time at sport crags, so one of these would be great to add to our kit! We have an old tarp with two basic tie down straps. It works to keep the rope contained in a gear bag but when I try carrying it with the arm strap it works it’s way out into a big mess. Not the best design but it is rather ancient! I dance around between a few things. 1. IKEA bag. Nice in theory for cragging when routes are close together. Problem is it doesnt sinch down to be packed away and doesn’t stand rigid enough to feed rope in and out while belaying so the the rope ends up on the ground half the time anyway. 2. Single strap standard rope bag (you know tb e one) nice mos t of the time but a second strap for carrying would make it much more usable. We have some OLD classic metolius rope bags that we use simply because my husband has been climbing forever and they’ve worked this long. They make me crazy because we haul the rope separate because it doesn’t fit in the pack. This doesn’t work for be because they’re a shoulder carry and if you have to scramble up anything they throw you balance off as they slide around to the front or are in the way as you’re trying to hike in if they’re in the front. I would love a backpack option that us actually comfortable. I have those older Metolius rope bags also. At this point with my little guy, either option would work better for us. I normally carry my rope in my pack but his things have made that harder. I’m excited he has wanted to walk everywhere now so that helps on the short approaches. I love the Cord Trapper, it’s been perfect for Indian Creek where I already have way too many things in my bag. 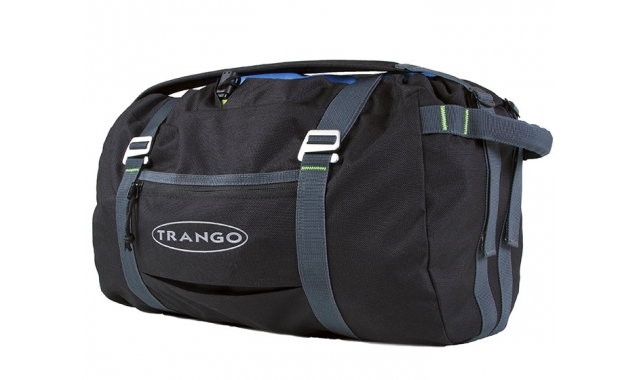 More great stuff from Trango! I use a Metolious bag, but it never has quite worked well for me. The backpack straps arent as comfortable as I’d like. It would be nice if the tarp were alone… much like the one you reviewed! We have a Mammut crag pack that came with the best rope tarp ever. Love them! 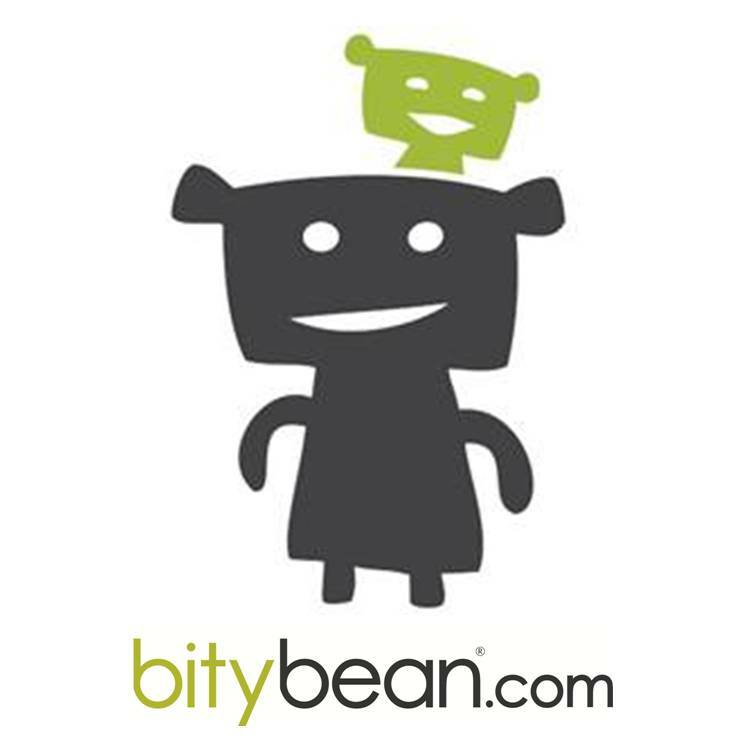 Your blog is just so cool!!! Very cool! I am thinking of all the awesome other options for this bag! the rope bag looks most useful!!! and easily accessible! I usually trad climb, so I don’t use a rope bag. The tarp is an awesome idea though! Super pack able. I saw someone using a laundry basket at a local crag once, such a smrt idea, rope coils right in. Jentri and I have a design for a climbing backpack that mimics a backpacking pack. The “sleeping bag” compartment is a detachable rope bag that can double as a fanny pack. Just looking for a company to take our design idea and make it a reality. We used to always have our rope piled in the bottom of somebody’s climbing pack, but since kids, it seems the rope is the first thing that I try to unload on unsuspecting partners. So, we do usually need a separate bag and tarp for it. 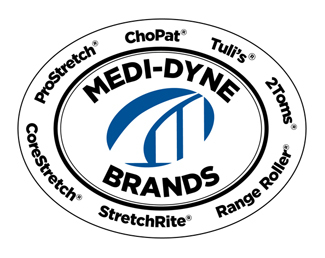 I like the metolius bags, but they can be heavy. Lately we’ve gone with a canvas tote bag (like you would use at the grocery), which is lightweight and easy to toss around, but that does not keep the rope very clean… so we’re still looking for the perfect solution. I try to make my own meals and cook them in ziploc bags when backpacking. Packaging on premade meals is crazy and wasteful sometimes. We recently got the Mammut Supernova 60m and matching “gym” rope bag. It does the job but doesn’t close all the way, which makes me think our outdoor trips it won’t be effective. But for the gym and local crag it should be alright! I prefer to keep my rope bag in my pack. We currently have the metolius rope bag. Although it fits well in my pack, it would be nice if there were two straps on short days where I could where it as a pack. And for whatever reason, the bag never fits as well packing up at the crag. Hopefully the antidote or cord trapper could solve some of my packing issues. This looks functional enough that I might be able to convince the hubs to use it! I hate getting the rope caught on trees when hiking and it’s just secured to the top of a pack hanging down on both sides! Both of these look great! I like the one with the bag, so at least that option is there.